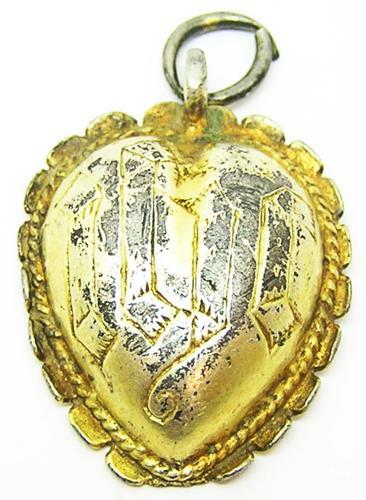 This is a wonderful Tudor period silver-gilt heart-shaped pendant, dating to the late 15th - early 16th century. The pendant is intact with the original lemon gold gilding and suspension loop. This jewel was discovered by a metal detectorist near Winchester, discussed at length on the Portable Antiquities website (BERK-5A089D). Such a piece would have been worn prior to the Reformation by king Henry VIII, or during the Marian counter-Reformation of the mid 16th century. A nice and intact Tudor pendant that can still be worn today! DATE: 1450 - 1550 A.D.